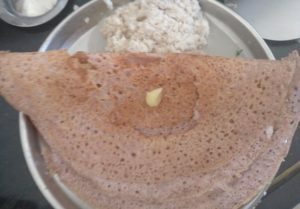 Jowar is a healthy millet that can be a substitute for wheat if you are looking to go gluten free. 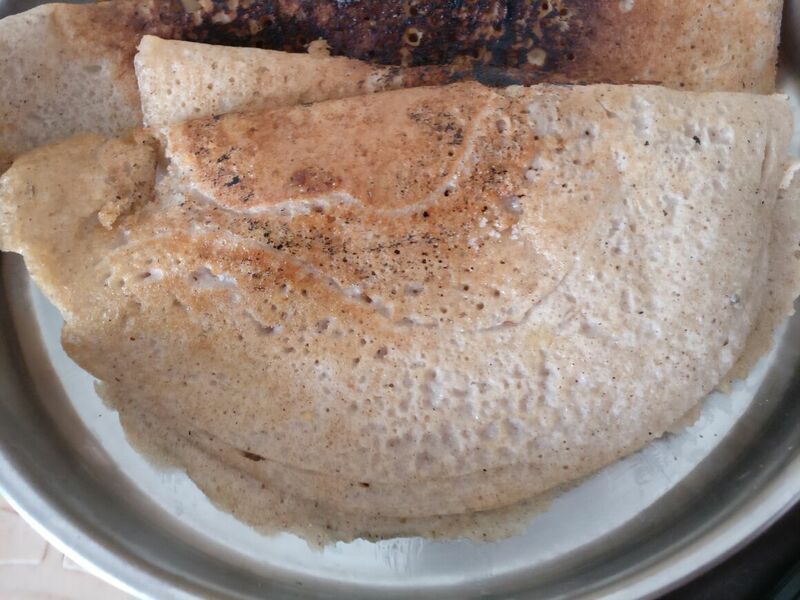 Apart from the yummy Jowar rotis, you can also prepare Jowar dosa which kids will enjoy for breakfast. Read on further to find how easy it is to prepare this dosa. The below quantity yields 6-7 dosas. 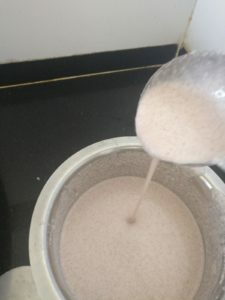 Wash and soak jowar and rice together in a bowl minimum for 8 hours. 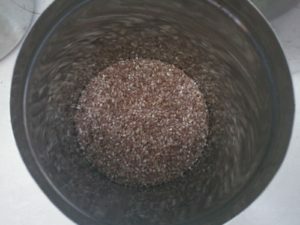 Wash and soak urad dal and methi seeds in another bowl for 8 hours. 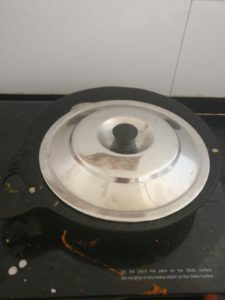 Grind all the above soaked items to form thick paste. Allow it to ferment for minimum 8 hours. 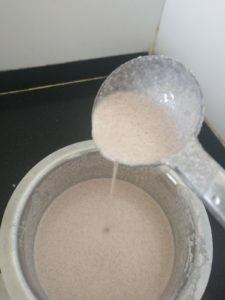 After fermentation, mix the batter well, add salt and water if required. The consistency of batter should be medium, neither too thick nor thin. 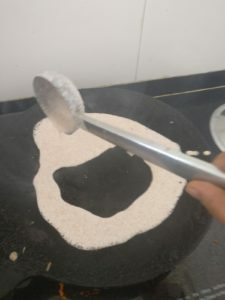 Heat a iron tawa, smear gingelly oil, after sometime pour the batter starting from outer circle to inner one (This method ensures batter spread in uniform circle) and complete the circle. 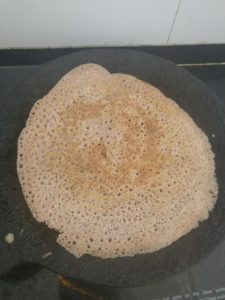 Add oil on the sides of dosa, cover a cook. 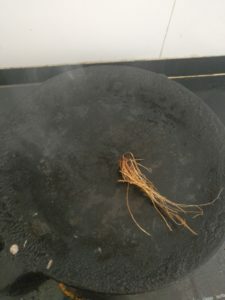 Serve hot with a dollop of desi cow ghee and onion chutney.